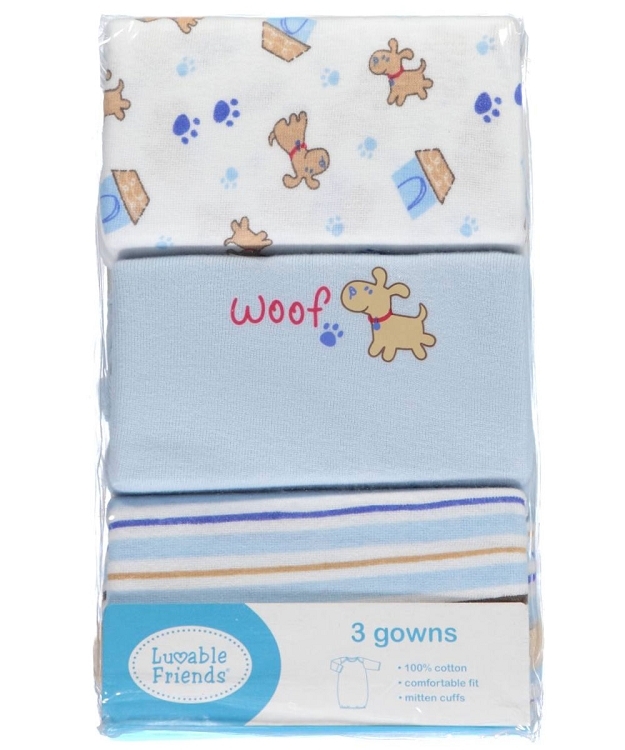 Luvable Friends 3-Pack Rib Knit Infant Gowns are ideal for everyday use, and the expandable neck opening design makes dressing your baby easy. Made of 100% rib knit cotton these gowns come with 1 stripe, 1 solid color, and 1 all over print. Available in 3 color choices and fits up to 3 months. 100% cotton machine washable cute baby clothes and baby care products. Fits up to 3 months. 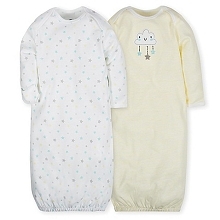 100% cotton machine washable Cute baby clothes and baby care products.